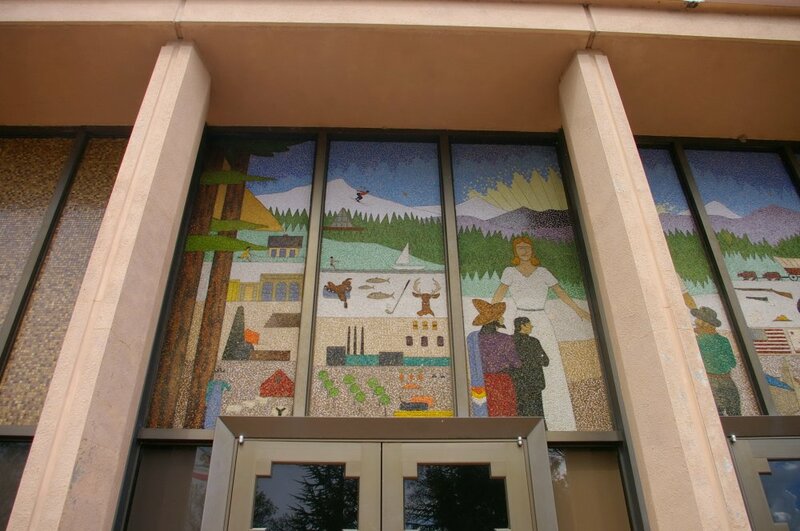 Calaveras County is named for the Calaveras River which is derived from the Spanish word meaning “skulls” as Spanish explorers may have found skulls of Native Americans along the river bank. 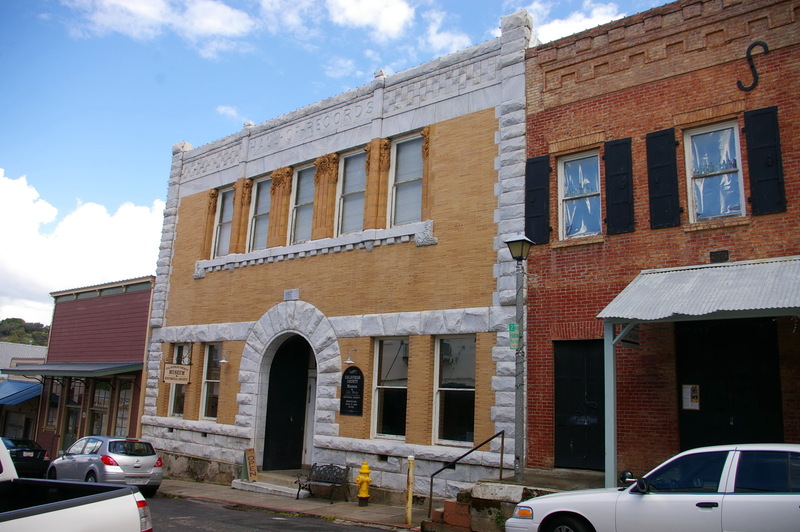 Description: The building faces west and is a two story brick, stone and wood structure. 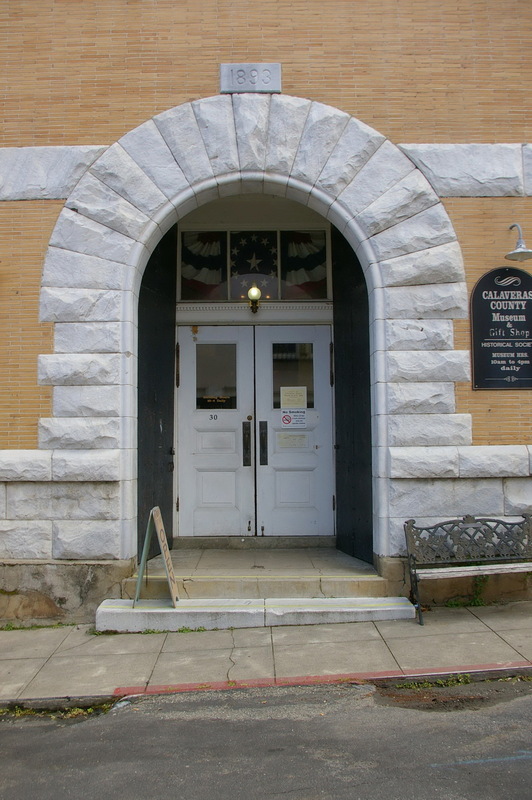 The county’s Hall of Records was built in front of the courthouse in 1893. The two buildings nearly touch and are considered part of the same complex. The west front has a central entrance with large white colored stone arch with recessed door. The foundation is stone and a horizontal stone band runs between the first and second stories. Along the roof line is an ornamented band above the second story windows. 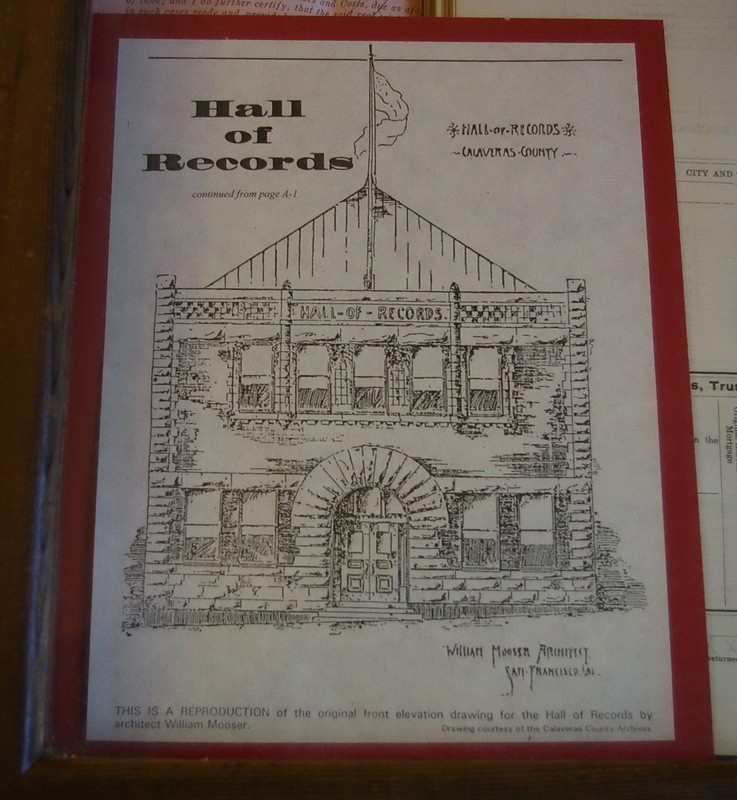 The architect for the Hall of Records was William Mooser of San Francisco. Note: The building’s jail held outlaw Black Bartt, a notorious Northern California highwayman, during his 1883 trial. 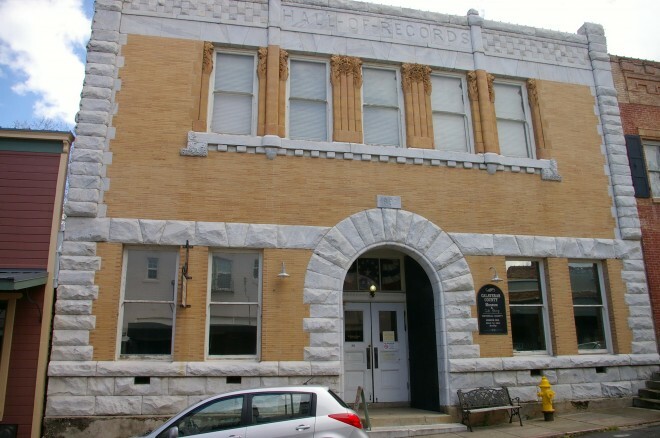 Until 1888, executions were also conducted in the building. 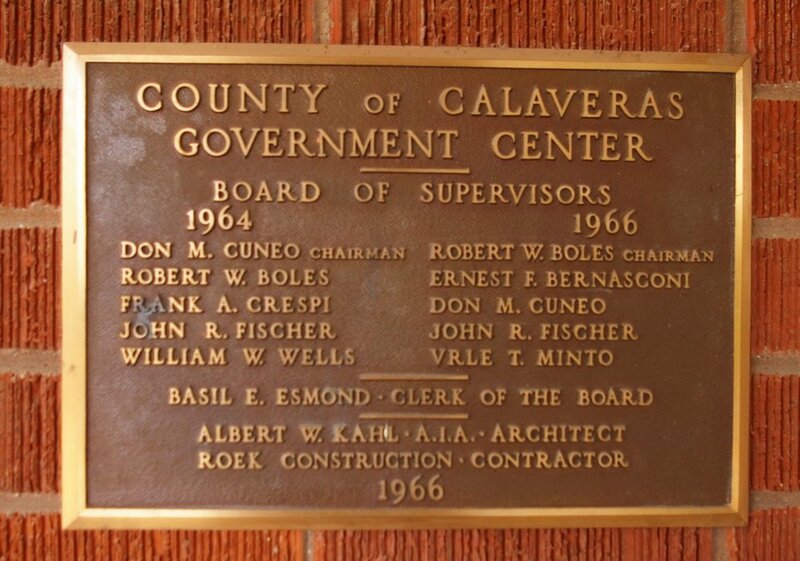 The building is now the Calaveras County Museum. 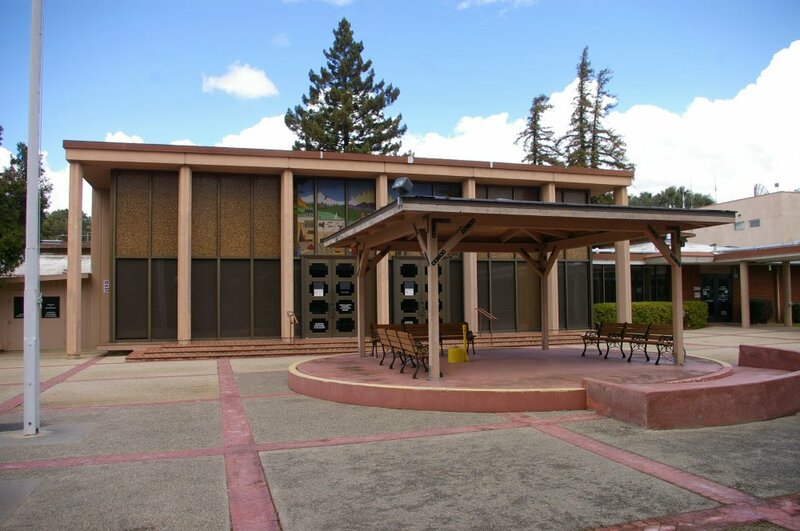 See: National Register of Historic Places – Calaveras County Courthouse. 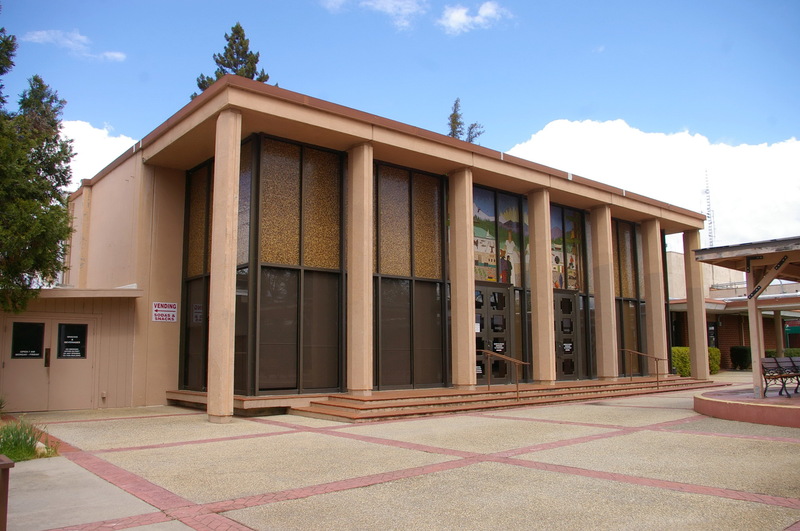 Description: The building faces west and is a one story light brown colored concrete and glass structure. The south front has seven vertical pillars supporting a sloped roof with glass panels behind. 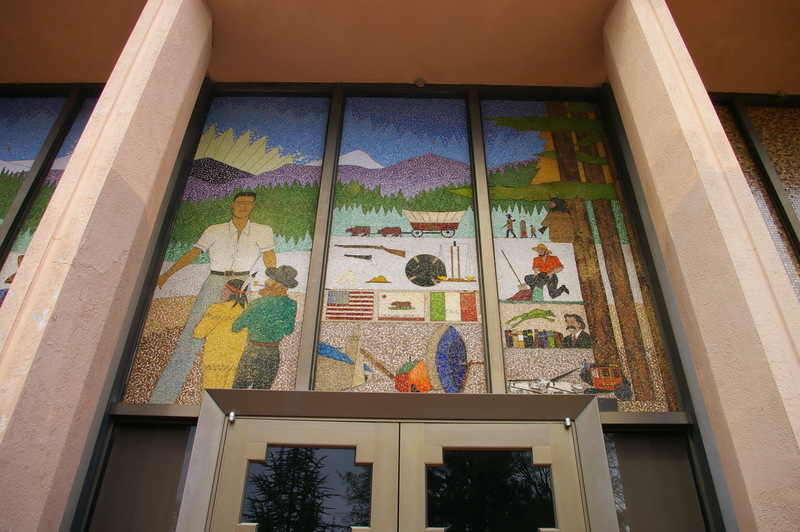 There are two central entrances with glass doors. In front of the building is a plaza which descended on the west and south sides. Above the doors are murals. 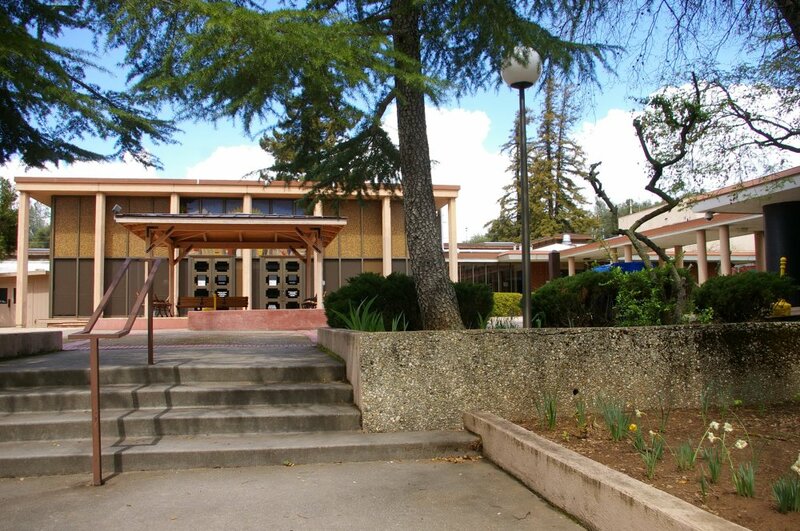 To the south is a two story building extending west with offices and another wing extends south. Description: The building faces south and is being constructed of steel, concrete and glass. Description: The building faces west and is a two story wood frame structure. 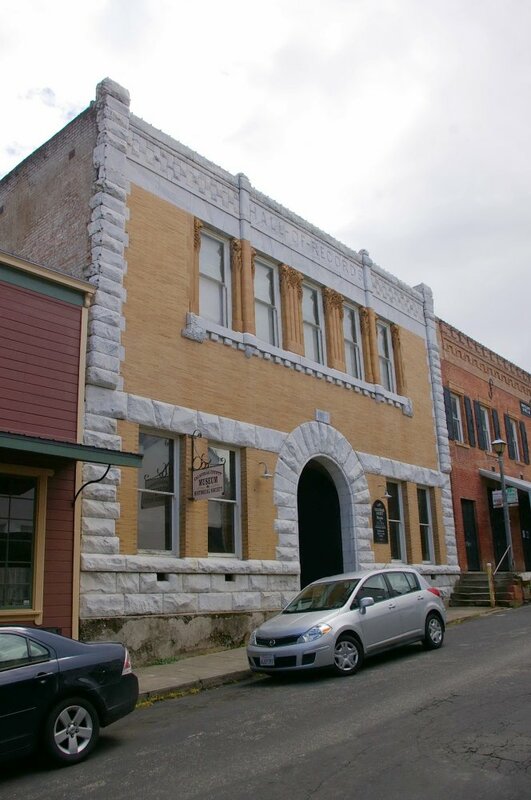 The north portion of this building served as the Calaveras County Courthouse from 1852 to 1866. There is a wood porch with balcony on the second story. 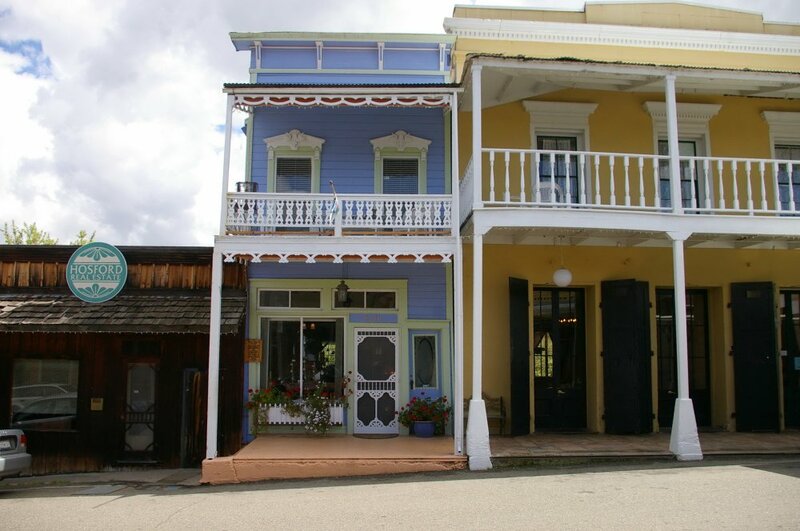 George W. Leger then acquired the court building and made it a part of his adjoining hotel, which has been in operation since early gold mining days and was known as the Grand Hotel in 1874 when fire damaged it and destroyed its dance hall. Restored in 1879, it has since been known as the Leger Hotel.